يشكل The Park Hotel Ruapehu بموقعه الممتاز في المدينة نقطة انطلاق جيدة لاستكشاف أفضل ما فيها من معالم ومناطق نابضة بالحياة. يمكن من هنا للضيوف الاستمتاع بسهولة الوصول إلى كل ما تقدمه هذه المدينة النابضة بالحياة. يشكل هذا الفندق ملاذاَ مريحاً للاسترخاء ويمنح زواره فرصة للاستجمام والتجدد، وهو يقع على بعد خطوات من المعالم السياحية الكثيرة للمدينة. إن الخدمات الممتازة وحسن الضيافة العالي في The Park Hotel Ruapehu تجعل إقامتك تجربة لا تنسى. لضمان راحة ضيوفه، يقدم الفندق الخدمات التالية: مرافق مخصصة لذوي الاحتياجات الخاصة, تخزين الأمتعة, واي فاي في المناطق العامة, صف السيارات, غرفة عائلية . لقد جهزت هذه الإقامة الفندقية بعناية فائقة لتوفر مستوى عالي من الراحة. في بعض الغرف يجد النزيل تلفزيون بشاشة مسطحة, سجاد, رف للملابس, إغلاق, اتصال لاسلكي بالإنترنت. يقدم الفندق العديد من الفرص للاستجمام كمثل حوض استحمام ساخن, حديقة. إن The Park Hotel Ruapehu هو خيار ذكي بالنسبة للمسافرين، فهو يوفر إقامة هادئة ومناسبة للاسترخاء. 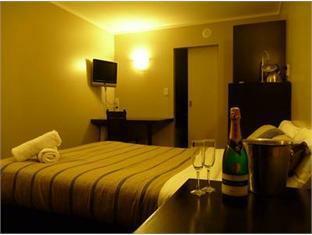 Hotel has a warm , cosy feel and is ideally placed for the National Park. Good food and a lovely fire made a warm welcome on this cold, wet and windy spring day. Came to see the mountains but they were lost in cloud and rain. Still, the hotel was good! 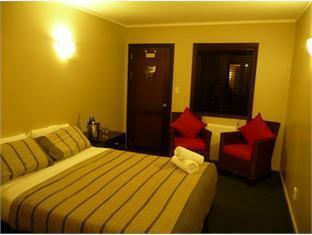 A nice room, good facilities and a great position in National Park, a short drive to Whakapapa skifield. Has a nice bar and restaurant, lots of parking and a drying room after your skiing. A couple of hot spa pools hits the spot as well. Everything was great here, outdoor hot tubs, spacious room with oil column heater and electric blankets. The only bad things I could say was witnessing one of the staff members bring another staff member to tears during the last part of breakfast and some rogue kids running around the decks and terrorising those of us relaxing in the hot tubs. Would stay again. Only reason it got 4 stars for value is, well, everything could always be a little cheaper eh. And 4 stars for facilities is because the spa pools were 35degrees which is really only a bath, perhaps some maintenance is needed - although it is really cold at the moment. Apart from that an amazing place to stay and I really couldn't recommend it high enough. Word to the wise is request a room up top if you're easily disturbed by kids running around above you (as that did happen one evening), but honestly not a bother for us. Staff were exceptionally good and accommodating, happy to help us find a place to dine. If you get stuck for a place to eat in peak season during school holidays, that big pub down the road is good, but if it's full don't be afraid to hold off till 8 as it cleared up for us by then. Can't say it'd be the same if a big game and perfect weather were happening though. Hiring gear at Ski Biz is cheaper than up the mountain with good service too. Stayed one night before to go for the Tongariro alpine crossing early in the morning. 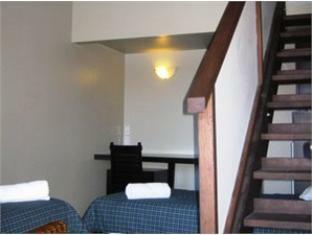 Room is quite small, as well as the bathroom, but its a good value for money. The restaurant food is good. Really nice young staff, exceptional and one is nicer than the next. Amazing location. BUT the owners should be tarred and feathered! No money on upkeep, they advertise internet knowing it a. doesn't work in the rooms b. is so slow as to be useless in the public areas c. Often doesn't work there. The listing is simply a lie. Outside windows are filthy and haven't been repainted in years. Owners probably exploit the good young staff as well. Stay elsewhere. Good: The beds. Most of the staff. Not so good: the room was very cramped, breakfast not worth the money, and worst - we returned at 7 pm to find our door ajar. On complaining, the desk manager said he would talk to housekeeping. No apology. No inquiry if anything was missing, no offer to make amends in any way. PLEASE REVIEW YOUR BREAKFAST MENU OPTIONS A COUPLE PIECES OF TOAST OR A BOWL OF CEREAL IS ALL MANY PEOPLE NEED TO START THEIR DAY. BUT FOR 18 DOLLARS !!!!! Noise, noise! Flimsy construction means you hear the clomp of peypassing outside and conversation in adjacent rooms. Expensive to eat here. Room was too old. Bathroom was too small, basin especilly tiny and so difficult to use it. We have good experience, food are excellent and staffs are friendly! It was great really enjoyed it and would def go back! Good Staff, Fast Cx In, Closed to attraction. It was a perfect location to those intend to go for skiing (Mt Ruapehu). Clean,friendly staff and great location..!! Close to attraction, friendly staff and Convenient location. Stay was very good aside from the private twin rooms did not have much sound insulation, resulting in us able to hear everything that was going on outside. 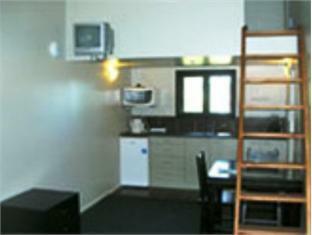 Location was good, close to the walking trails to explore Tongariro National Park. Cleanliness is a bit dubious - there are chunks of hair in the toilet bowl when we checked in. Towels were not provided so we have to ask the guest counter for them. Choose 2nd floor as the wall and floor are really thin. The lodge is in need of some TLC/maintenance. It is not appealing from the exterior particularly with the black finish and the scruffy car park. I was amazed to find that it was only seven years old. The decor tries to convey an aged timber cabin/hotel style but seems a little unfinished and put together in a hurry. The room was small but functional and could have used updated furniture. 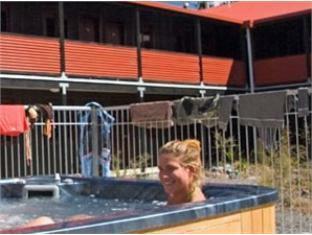 Difficult to say if it was a backpacker lodge or a hotel. Clientele very mixed. It is constrained by its appearance and design but seems to be trying to deliver a good ride for patrons. Had I not pre-booked I would have driven on as it did not look appealing. Met the manager and chef who were very amiable. Chef was good at his craft. My stomach thanks him. The hotel was a 15min drive from the Whakapapa Ski Area. The room was bit small but provided clean linen and ensuit, which was really tiny but the shower was really warm. The restaurant was cosy with good tasting food. The hot tub wasn't warm enough. And the walls were so thin, I could hear my neighbour next door snoring through the night and early birds stomping around in the corridor in the morning. But all in all great value for money, if your not looking for luxury.